Most people perceive ironing to be a demanding and tedious housekeeping chore, and would be more than happy to have it done by someone else. This is only fair enough, but qualified housekeeping is quite pricy and not everyone can allocate the money to keep a housemaid who does the ironing, week in and week out. If you delegate your weekly ironing chores to us however, cost will not be a factor as we offer an efficient and very affordable professional ironing service at Cleaners Liverpool which works right every time. Customer convenience and service efficiency are essential, and our professional ironing service in Liverpool makes no exception. It is seamless, quick and reliable – just the way people need it. The ironing service is quite suitable for various household textiles besides clothing, these include curtains, table cloths, bed linen etc. As mentioned, ironing is a domestic service which is done within a person’s home, this is why it is absolutely crucial for it to be done by the right people. We are very demanding with choosing our housemaids and the entire selection and hiring process involves a lot of scrutiny. Our housemaids have the required skills, expertise and qualification. These are all checked and double checked before a decision is made. Many of them have prior experience in fast paces and demanding branches of the hospitality industry. All housemaids undergo thorough background security and police background checks, as we don’t want to be sending random people to customers’ homes. Only after housemaids are properly vetted we are able to send them out to you. Customers who are using our regular ironing service will be provided with the same housemaid every time unless otherwise requested. Customers are notified in advance of the time, day and name of the person we are sending out. Our maid will show up on time, and present a valid company or photo ID upon arrival. 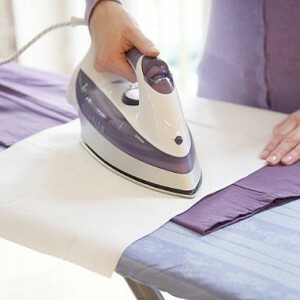 The ironing service is available as one off or on a fixed schedule basis, the frequency and duration of the regular ironing visits depends entirely on customer preferences and availability. The service is charged at an hourly based rate, should the need be there customers can request additional hours at any stage during the service, for that please speak to our consultants. The ironing service can be requested in combination with one gardening service of our many property cleaning services, providing even more value for money to our customers. 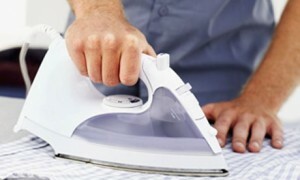 Ironing service bookings are available seven days a week.